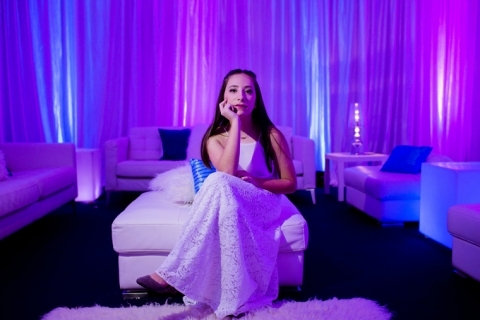 This Portland Mitzvah planner loves a memorable milestone celebration. 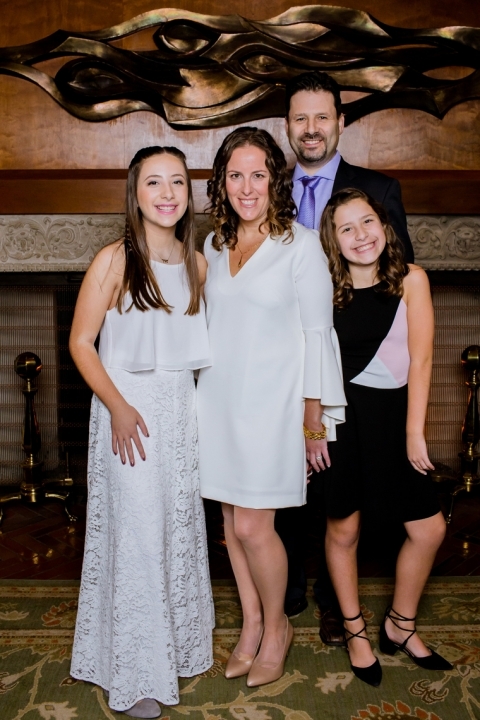 When Maya’s family contacted us to plan her Bat Mitzvah, they wanted to balance the religious significance of the ceremony with Maya’s love of dance in an atmosphere where family and friends, both adults and kids alike, would have a great time making memories. 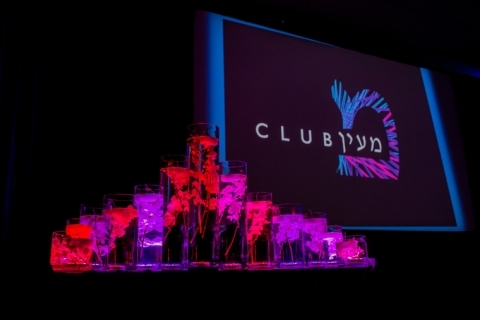 Our solution: Club Maya, complete with her own custom logo featuring the Hebrew for Maya! Guests entered the celebration at the Multnomah Athletic Club, greeted with their own VIP passes to Club Maya. 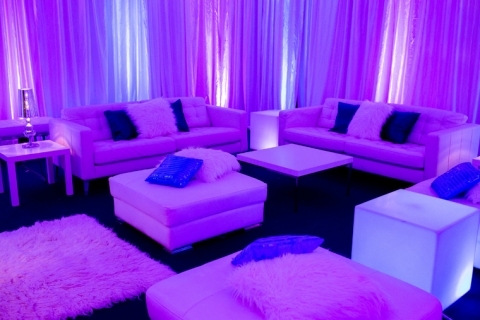 Kids headed straight into the ballroom where Peter Corvallis Productions created the junior VIP lounge and an appetizing dinner buffet was set up, with the team from Premier Entertainment on hand to get their party started. The Bling Girls were also there to bejewel all the club-goers. Adults were treated to a kid-free cocktail hour in the library, followed by a mouth-watering, three course, sit down dinner in the ballroom. And no club is complete without the paparazzi – Stumptown Photo Booth and Stark Photography both captured all the moments for Maya’s family and friends. One of the evening’s many highlights was Maya’s grand entrance during the Hora, carried in to the ballroom by her uncles. Time for the entertainment in the club to kick it up a notch – and they delivered! Lively skits on stage involving the guests and then another highlight of the celebration – a special hip hop dance performance by the guest of honor herself. Our favorite custom detail for this event? The s’mores bar set up on the kids’ buffet for dessert! The meaningful highlight of the celebration was the traditional candle-lighting ceremony, where Maya honored all of her family and friends with a dedicated candle, kind words and their own theme songs. Everyone capped off their night of “clubbing” on the dance floor where the DJ invited them to shut it down and dance the rest of the night away. Club Maya was a hit! 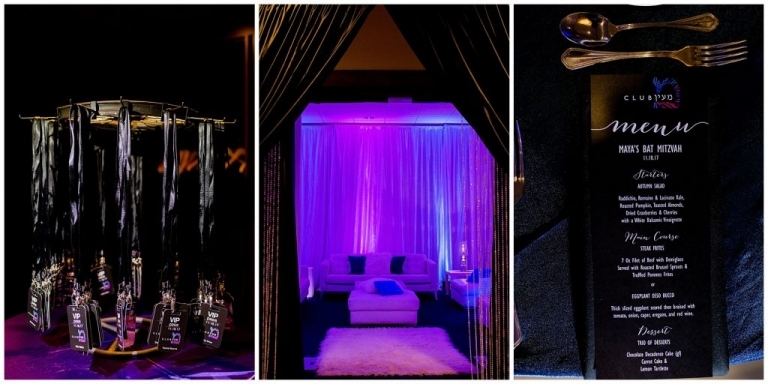 Thank you to the Malka family for inviting blc EVENTS to create such a unique Bat Mitzvah celebration. Mazel Tov, Maya! © 2019 BLC Events|ProPhoto Photographer Template|Design + Dev by Northfolk & Co.